X'mas time is here! It’s always a joy to share & celebrate with your friends and loved ones during this festive season. But sometimes, we struggle with gift ideas. 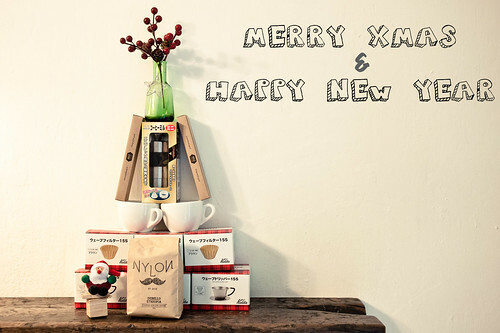 Thinking of what to get for your coffee-loving friends/family members? Fret no more. We have come up with a few great gift sets that might be your “solution”. Over at Nylon, we love encouraging people to try brewing coffee at home or in the office. It’s fun & simple, definitely not as complicated as many would think it is. Just think of the end result - a freshly brewed cup of delicious coffee, it will all be worth it. We have 3 gift sets up for grab. Come by soon & grab the gift sets which comes in a limited tote bag. While stocks last! This offer will be available till 31 Dec 2012.